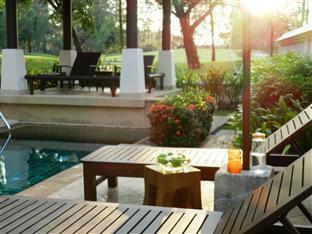 Laguna Fairway Villa offers pet-friendly accommodation in Thalang. The accommodation is air conditioned and features a hot tub. Wat Prathong is 5 km from the property. Free WiFi is featured throughout the property and free private parking is available on site. Featuring a terrace, all units include satellite flat-screen TV, CD player, and DVD player. Some units have a seating area and/or balcony. There is also a dining area and a kitchen equipped with a dishwasher, an oven, and a microwave. A toaster and kettle are also available. There is a private bathroom with a bath and bidet in every unit. Bed linen is provided. Laguna Fairway Villa also includes a hot tub. You can play table tennis at the property, and the area is popular for golfing and horse riding. Khao Phra Thaeo National Park is 7 km from Laguna Fairway Villa. The nearest airport is Phuket International Airport, 10 km from Laguna Fairway Villa.